Do People Drive Less on Spare the Air Days? As part of our series, Bay Curious, we are answering questions from KQED listeners and readers. 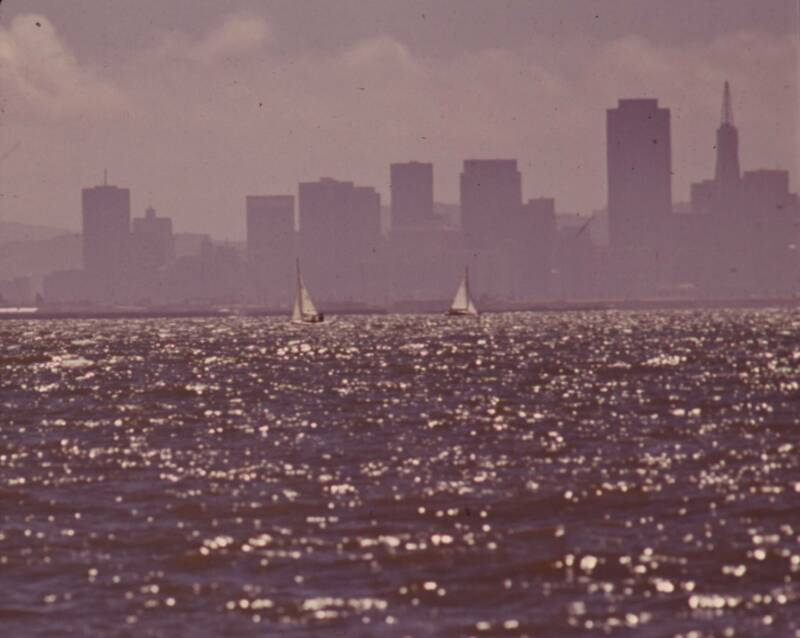 On some warm summer days, Bay Area resident Sprague Terplan watches a brown haze settle over the bay and wonders about air quality. “I guess because I grew up here, I’ve always cared about the local environment,” he says. On Spare the Air days, is there a reduction in driving/pollution? If so, by how much? Why not automatically raise bridge tolls on such days? 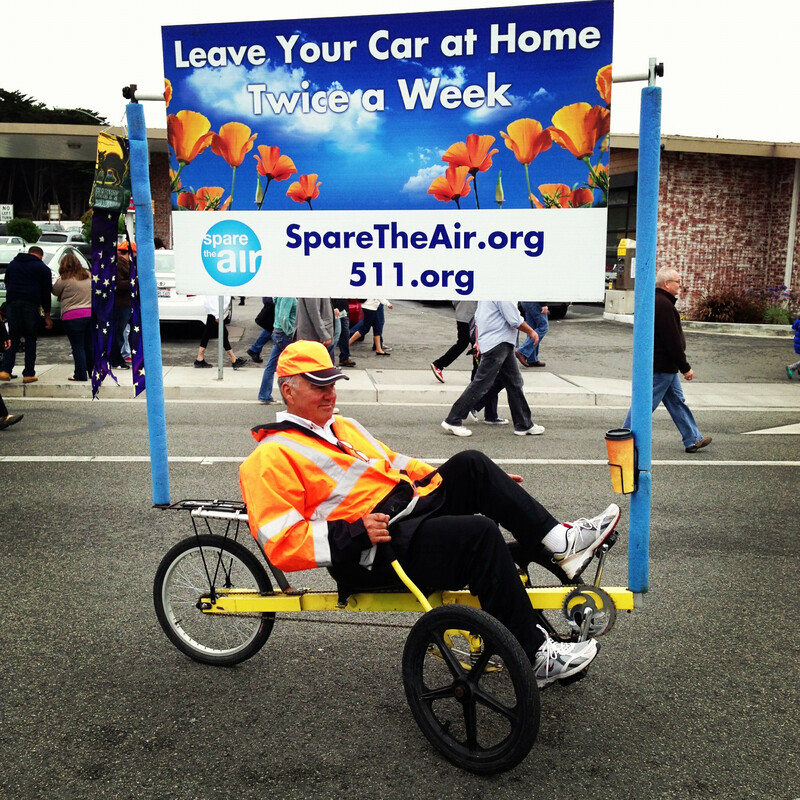 This year marks the 25th anniversary of Spare the Air, a program run by the Bay Area Air Quality Management District. The district calls a Spare the Air alert when weather conditions in any of the nine counties under its jurisdiction indicate there could be unhealthy levels of pollution that day. In winter, the alerts ban wood burning. In summer, they prompt people to reduce air pollution by driving less, taking transit or carpooling. Terplan, our question-asker, doesn’t buy it. “I really question—or, quite frankly, doubt—that people are reducing their driving,” he says. So Terplan and I set off to investigate. Do People Cut Back on Driving? We called Randy Rentschler of the Metropolitan Transportation Commission. The MTC counts the cars that pass over the Bay Area bridges. He was blunt. “We generally do not see a meaningful change on Spare the Air days with respect to traffic counts,” Rentschler told us. Terplan said that on Spare the Air days, anyone can see the air is polluted. “It's a shame that public policy is not effective in altering people's behavior and, I guess, we all suffer as a result,” he pressed Rentschler. Terplan wasn't surprised by Rentschler's response. “People are so reluctant to change their daily ways despite the filth in the sky at times. We just got to live with it,” he said. So far, we were a little discouraged. Most people have heard the catchy Spare the Air slogan, mainly because of a campaign that gave people free rides on public transit on Spare the Air days from 2004 and 2008. The Air District no longer has funding for the free rides, says spokeswoman Kristine Roselius, but it did wonders for name recognition. An Air District survey in 2011 found more than 75 percent of responders knew about the program. And less than 4 percent said they cut at least one car trip due to a Spare the Air alert. That may not sound like a lot but it adds up to a significant amount of cars, Roselius says. Using a formula from the California Air Resources Board, the survey estimated that more than 200,000 drivers reduced one car trip in response to Spare the Air. To make ozone, combine three oxygen atoms to form O3. When I read this, I thought, “Wait, isn’t ozone a good thing? Didn’t that hole in the ozone layer increase my chance of skin cancer?” I was right—in the upper atmosphere, O3 is the Earth’s ultimate SPF. It blocks most of the sun’s ultra-violet radiation from getting to the surface and burning your skin. Confused, I called meteorologist Jan Null, who told me the trouble starts when ozone forms on the ground. In the early morning, commuters congest the roadways. Drivers spout curse words while our cars expel exhaust, a ‘precursor’ to ozone. On hot days, the sun cooks all those pollutants, sparking a chemical reaction that creates O3. When inland temperatures get to be about 90 degrees, the Spare the Air folks take notice. “The number of Spare the Air days is going to be very dependent on how hot the summer is,” Null told me. They’re also dependent on days with low wind. “Now, fortunately the ozone season is during the sea breeze season." We have a natural ventilator in the Pacific Ocean. When inland parts of the Bay Area heat up, the hot air rises and makes room for a cool sea breeze to fill the gap. The pollutant-ridden ground air gets mixed up and out before it can cook into ozone. On days with low wind, the Bay Area terrain blocks the weak breezes, Null says. If air district meteorologists see the heat combined with low wind, they’re likely to call a Spare the Air alert. 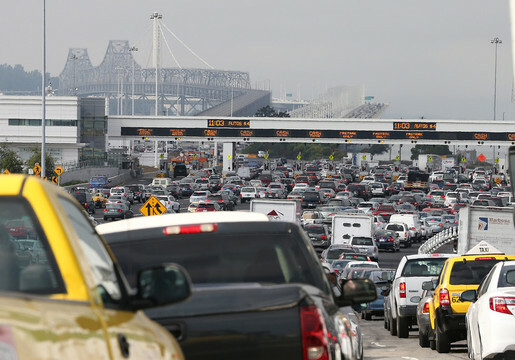 Why Not Raise Bridge Tolls on Spare the Air Days? The MTC doesn’t have the authority to raise bridge tolls on Spare the Air Days, Rentschler told us. Even if they did, they probably wouldn’t do it. The main reason, he says, is because Bay Area air quality is pretty good. 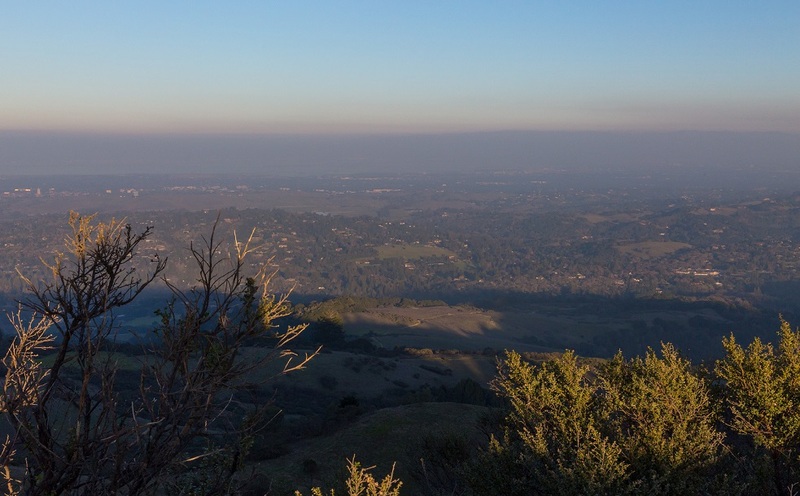 The American Lung Association’s State of the Air 2016 found that since 2000, Bay Area counties had a 73 percent fewer unhealthy ozone days. Their analysis includes San Joaquin County. But Terplan says there are still reasons to strengthen Spare the Air day efforts. Remember that sea breeze that carries pollutants up and out of the Bay Area? Sometimes that air ends up in the San Joaquin Valley, which has some of the worst air quality in the United States. According to the San Joaquin Valley Pollution Control District, about 27 percent of the air pollution in the valley’s northern counties blows in from the Bay Area and Sacramento. I asked Rentschler what he would tell someone like Sprague Terplan, who says, if we can do more, why not do it? I put this answer to Terplan. “Personally, I’d like to see more, but that’s just my humble opinion,” he says, laughing. Got a question you want the Bay Area team to tackle? Submit it!